Installing a marina WiFi network comes with many unique challenges. Marinas that want to deploy a WiFi network for their customers may have difficulty finding an Internet service provider (ISP). The WiFi equipment will need to be able to withstand constant exposure to difficult weather conditions. The marina will also need to deal with customers that have different data needs and a wide-range of equipment accessing the network. All of these challenges may make it seem like too much of a hassle to embark on a WiFi installation, but with the right equipment and thorough evaluation of the site, marinas can overcome these challenges and provide WiFi service for their customers. 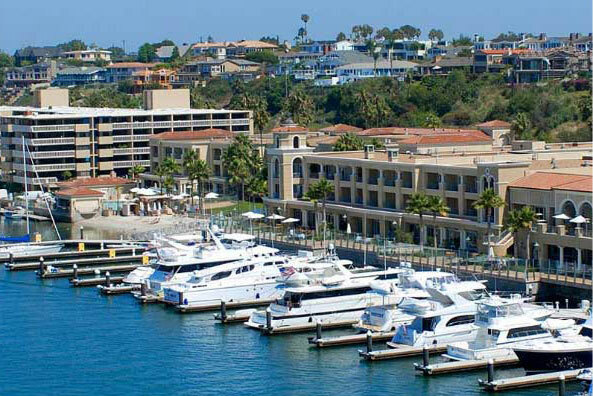 Some marinas are conveniently located near metropolitan areas. These locations have access to many reliable ISPs, but many marinas are located in more remote areas that have limited access to ISPs. There are still options in these locations. One way of obtaining a reliable Internet connection is to use wireless equipment to relay traffic back to a location with a reliable or more affordable network connection. This use of a wireless backhaul is usually less expensive than having a carrier install lines to provide direct access to the marina. Depending on the distance from the ISP and the monthly data charges, it can be cost prohibitive to connect directly to an ISP. Another option is to use data services from a wireless carrier. If a marina is close to cell towers with high-speed data services, this is often an affordable option as long as the wireless carrier can provide the amount of bandwidth the marina needs. Once the marina finds a reliable ISP, the next challenge is to choose the right equipment that can withstand the tough environmental conditions due to the marine environment. In some locations that experience frequent violent lightning storms, equipment is likely to be exposed to direct lightning damage. There is no way to prevent a lightning strike, but when designing an outdoor WiFi network, it is important to use the best lightning protection available. This prevents damage to other pieces of the network that are connected to the outdoor equipment. A marina WiFi network should always have the proper lightning protection equipment installed to prevent significant and expensive damage to multiple pieces of equipment. Another environmental hazard is the inevitable corrosion from salt water. When choosing the equipment that will have the most exposure to the elements, it is a good idea to plan to replace some of the equipment every few years. The cost of the replacement equipment is a concern when choosing what outdoor equipment to use. Another factor that will determine what type of equipment the marina will install is whether the marina provides WiFi service free to customers or as a paid service. When a marina chooses to provide WiFi service as a free convenience, they generally do not guarantee that the service will always be available or have consistently high bandwidth. On the other hand, if they choose to charge for their marina WiFi services, many customers will expect the marina to provide some level of technical support for connectivity issues. Marina WiFi can be a great service to attract more boaters to a particular marina. It can be a challenging undertaking, but boaters that prefer to spend much time on the water, greatly appreciate the Internet access. It is important that marinas consult with installers that are experienced with the challenges of a marina WiFi installation to ensure that the money spent on the network is not wasted on inadequate equipment or a poorly installed network.